An earth-tone heart framed in gold symbolizes love. 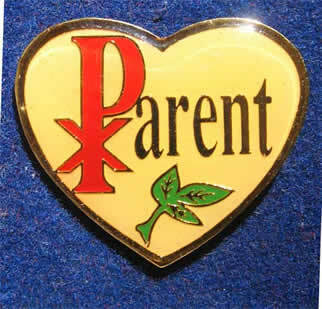 The word "Parent" is printed in gold. The letter "P," which is in red, also forms the Christ symbol. A green sprig of leaves represents life.